Create amazing designs with the award-winning eZee Beads, the colourful beads that magically stick together with water – no need to use an iron. Three lucky winners will win a 3D Mini Scenes, a Butterflies set, an Under the Sea set and the amazing Studio Set from the eZee Beads collection from John Adams. Does your little one love animals? Well, now they can create their own fun free-standing animal character scenes with eZee Beads 3D Mini Scenes (SSP £14.99)! With five innovative 3D designs and over 1,200 beads, the 3D Mini Scenes set allows you to make a range of colourful animals including an owl, duck and ducklings, snail, cute rabbit even a frog on a lily pad! 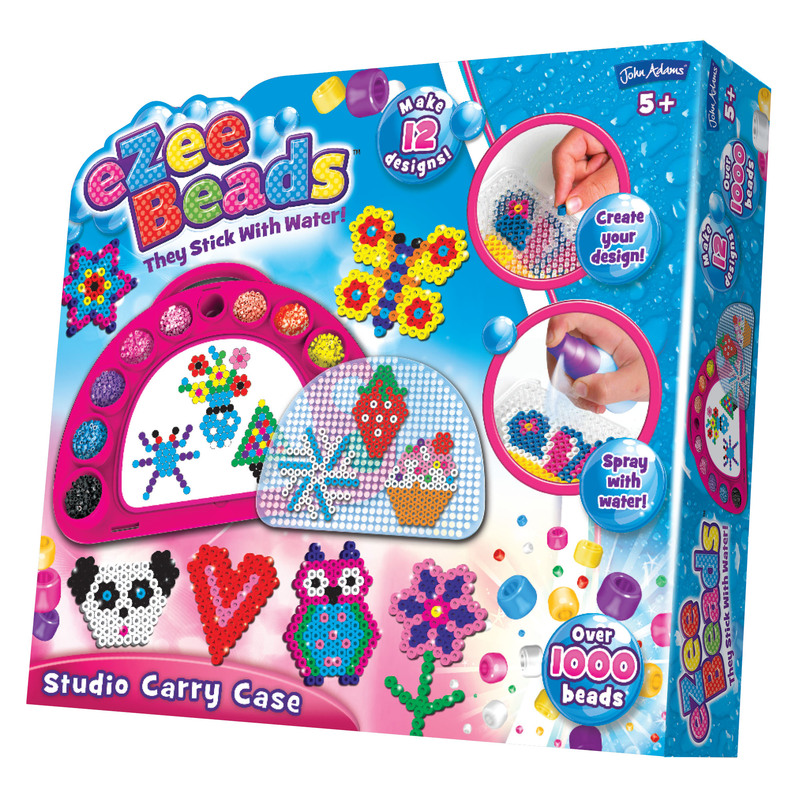 Let them make something extra special with the eZee Beads Studio Set (SSP £19.99). Complete with a carry-case studio, design sheet, bead tool, water sprayer and 10 different bead colours, the Studio Set has everything an eZee Bead lover could possibly need! The studio includes a design sheet to get you started but once you’ve found your feet you can create your own individual creations and let your imagination run wild! Winners will also receive an eZee Beads Butterflies set which enables kids to create beautiful, colourful butterflies using the 3 different large designs and over 800 beads included. To enter, simply visit www.facebook.com/lovedbyparents like the post and write the words, ‘Crafts’ underneath the competition post below. Competition closes on the 18th December 2017.